Kent Cancer Trust | Success leads to success! Home > Projects > Success leads to success! Kent Cancer Trust has provided support to Dr Campbell Gourlay at the School of Biosciences, University of Kent, with his work on Throat Cancer. Researchers from the School of Biosciences have helped develop a new standard of care for cancer patients who need to have their voice-boxes replaced, vastly improving their quality of life and making significant NHS savings. 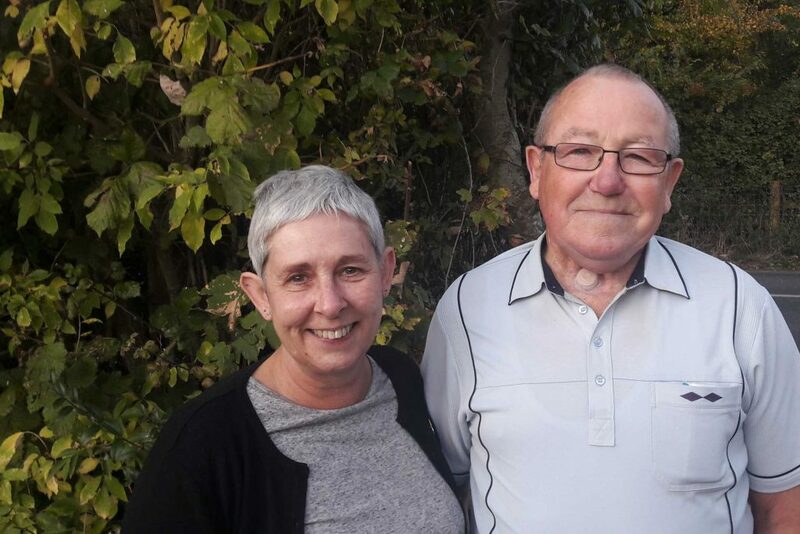 When he was approached by the East Kent Hospitals University NHS Foundation Trust (EKHUFT) in 2014 to help discover the reason replacement voice boxes often fail, Reader Dr Campbell Gourlay knew little about voice prostheses – the artificial voice boxes. With funding support from the Kent Cancer Trust the Gourlay lab joined forces with EKHUFT’s scientists and clinicians to confirm that voice prostheses frequently fail because they become infected with the yeast Candida albicans. With this knowledge, the team put together an effective anti-fungal treatment strategy to extend the life of voice prostheses. Each year in England, 450 patients undergo laryngectomies, a procedure to remove the larynx, or voice-box. This is usually to treat cancer, or damage caused by cancer treatment, but might also be necessary following severe injury to the neck. Most patients will be fitted with a voice prosthesis. However voice prostheses commonly fail within six months and need replacing, with some patients undergoing replacement surgery every two weeks. In addition to speech loss, patients whose prostheses fail are at risk of developing serious lung infections such as pneumonia. This is due to microorganisms, such as bacteria, leaking into the lungs. The frequent replacements are at significant cost to the NHS, not only because an increased number of devices are needed, but because of the time clinicians spend on the procedures. The treatment strategy has greatly extended the lifespan of voice prostheses since it was put in place in December 2016. In some patients, it has increased the duration of their voice prostheses from three to six weeks to more than 40. The guidelines have now been adopted by a further 30 NHS Trusts in England and may soon be used by healthcare trusts in countries such as the US and Australia. Dr Gourlay considers the team’s multidisciplinary nature to be an important factor in their success. “The Trust approached us because of the great expertise within the Kent Fungal Group. In working with clinicians we have been able to translate our research findings directly to clinical practice and develop a new set of treatment guidelines that have improved patients lives”. As is often science’s serendipitous way, the work has greatly shaped Dr Gourlay’s research focus. He has now started looking at infection in tracheostomies – a procedure whereby a tube is inserted into the windpipe to assist with breathing. Unlike voice prostheses, they are unlikely to fail. However there is a substantial risk of infection which, for the ill patients who undergo tracheostomies, is often life-threatening. Together with researchers in the School of Engineering and Digital Arts, the School of Physical Sciences and medical devices company Smiths Medical, Dr Gourlay is developing radio-frequency identification (RFID) technology to detect in real-time the microorganisms that inhabit the tracheostomy tube. Early detection will enable prompt treatment and may lead to improved clinical practice. This technology is applicable to other in-situ medical devices, such as grommets and catheters and Dr Gourlay has begun discussions with specialists in those fields to take this work further.